When I was asked to read and review Armand Rosamilia's new novella, Tool Shed, I jumped at the chance. I've really enjoyed some of the other new releases from Angelic Knight Press. Tim Marquitz's anthology Fading Light: An Anthology of the Monstrous was the best anthology I've read this year and I'm also a fan of Bryan Hall's books in the Southern Hauntings Saga. Tool Shed, however, did not deliver for me. I loved the opening line, "The cows had exploded." It made want to dig right in and find out what that was all about. What we learn, is that Michael Zaun has inherited his grandfather's farm following a series of grisly killings now known as the Tool Shed murders. Despite the property's history a number of local teens have taken to hanging out in the Tool Shed, smoking weed and such. It's not long before the killings begin again. There was a lot I liked about this story. There are nice relationships between Michael, his best friend Larry, Becky and her daughter, Susan. They make a strong foursome. But there was something missing. I think it was the evildoer. The reader is asked to accept quite a bit at face value. There is very little background on this character and it has some unique abilities that are given very little explanation. Sometimes not knowing works OK, but for me, in this story, it just felt a bit off. 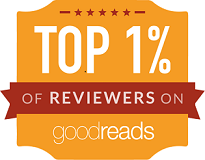 Three stars means I liked the story, but it wasn't something I'd recommend to a friend and certainly not what I would call a favorite. Keep in mind, your experience may be different. 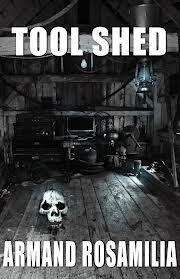 If you'd like to read Tool Shed, it's available now, for the Kindle, at Amazon.com. Today, I'm making my first foray into the world of guest blogs. My first victim...er, guest is Armand Rosamilia a New Jersey boy currently living in sunny Florida, where he eats too much, drinks too much, and doesn't worry about the impending zombie apocalypse. And it is coming. He is the author of many, many stories and novellas (which are all awesome… seriously! ), and his Dying Days zombie series is pretty cool, too. He loves talking to fans and friends about horror, zombies, Boston Red Sox and Heavy Metal music. 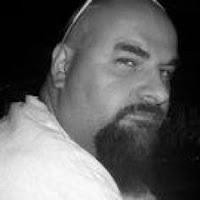 Feel free to e-mail him at armandrosamilia@gmail.com or visit his blog at http://armandrosamilia.com. He also loves speaking in third person. When Michael Zaun takes possession of his late grandfather’s farm, he finds out he inherited more than he bargained for. Dubbed the “Tool Shed Murders,” the details of the deaths of two girls on the property, and his grandfather’s, seemingly by his own hand, are a little murky. Was his grandfather a monster or a hero? The discovery of his grandfather’s journal awakens within him a new confidence. But what about the demon his grandfather mentioned? Is it real or just the ranting of a diseased mind? With the help of his friends, old and new, Michael will find not only the answer to that question, but a new strength within himself. Let me say this before I get to the interview. I firmly believe a great opening line can help get any story off to a good start and I just loved the opener for Tool Shed. "The cows had exploded." Four words and I'm hooked. I just have to know more. Now a few questions for Armand. 1. What was the inspiration for Tool Shed? The initial idea for the story began many years ago, when I was buying every Leisure Books paperback I could get my hands on. I loved the stories that Don was editing, and they were all classic horror tales. I wanted to someday write a 'traditional' horror tale, with a monster or demonic entity harassing our hero. I originally thought it from the grandfather's POV, with the murders happening on the farm. Then I put it away and began writing a dozen other stories. But while reading The Rising, or one of Brian Keene's zombie books, I came across a point where he talks about dead cows in the field. The line 'The cows had exploded' came to me, and I immediately thought of my Tool Shed idea. I rearranged the story a bit and began writing. 2. What other books in the genre would you compare it too? I'd love to think my story holds a candle to classic Leisure Books work from John Everson, Keene, Douglas Clegg, and Simon Wood. But those books are amazing, and the period when Dorchester was firing on all cylinders is still my favorite books to read and re-read. I started writing it with them in mind, to be honest. Then, when it all fell down and burned, I decided to find another publisher that I wanted to be associated with. That was Angelic Knight Press. I was lucky because they obviously loved it enough to publish it, and I didn't have it sitting at half a dozen publishers, trying to get sold. 3. Is it a series? Will we get to revisit the characters? Kind of. There is a longer novel I've written called Chelsea Avenue, 'starring' the elementals as well but set in Long Branch New Jersey beginning in 1987. I'm doing edits on the story and hope to get it ready to make the rounds as well very soon. It's another story that is many years in the making, and another more traditional horror tale. 4. What made you step away from the zombies that populate some of your other writing? I never set out to be known as a zombie author. I wanted to write horror stories, period. When I wrote Highway To Hell it was only my second zombie story, after the flash fiction piece "Anything But Luck" starring Darlene Bobich (who has been my main character in all the Dying Days zombie stories) and I thought I wouldn't be writing too many more. Wow, was I wrong. The zombie stories struck a chord with readers, and I still find myself adding more and more to the Dying Days universe. But I still write horror stories, and just released a print horror short story collection, Skulls And Bones, that contains nine stories and none of them are zombies. I swear. 5. The main character, Michael, is a large man. No chiseled abs or buff physique there. And yet, he's basically the hero. Why write him that way? I'm a big guy, pushing 300 lbs. I can relate to the character and his physical limitations, although I'd like to think I'm in better shape than Michael. I didn't want a Vin Diesel He-man in the story. I wanted a group of normal people, and even his best friend is more geek than anything. Characters that are relatable to a reader, instead of buff male strippers hanging out with super-hot chicks. I only do that in my real life. My thanks to Armand Rosamilia for the interview. I'm reading Tool Shed right now and expect to post a review buy the end of the week. If you want to get your copy now, it's out today, from Angelic Knight Press and is available here. Someone or something is abducting childen in Wessex Township, NJ. Caught in the middle is Preston Howard, the town drunk and father of Fanny who works in the community as a librarian. Howard has seen the children and he's also seen something else, something that, given his proclivity for alcohol, no one is likely to believe. To complicate matters even more, Fanny has just become involved in a relationship with the town's Sheriff, Nicholas Catesby. David Dean does a superb job of balancing the facts with supposition in the case of the missing children. Is the creature real or is near-constant inebriation causing Howard to do the unspeakable and concoct an unbelievable tale to keep himself out of jail? BTW, living in Southeastern PA, I loved the reveal on the title. I actually never knew that before. The author has done a very good job of creating characters that are complete in all of their idiosyncrasies and are convincing in their individual roles. He also does an excellent job of building tension. The story starts out with a wonderfully creepy vibe and backs off just a bit, but manages to build tension throughout and keeps you guessing until the final scenes. The novel is complete, with no loose ends, but there is a bit of an opening for a sequel, should the author decide to go there. All in all a great read, which I highly recommend. Available now from Genius Book Publishing in both Paperback and a variety of e-book formats. Patrick and Sam have been married for 8 years. He makes his living drawing graphic novels and she is a forensic pathologist. There is still much love after 8 years together. It shows well in the love-making scenes, handled skillfully by the writers. I'd say the scenes are titillating, without being vulgar. Everything in the story is going swimmingly, but after another night of passion, things change fast and oh so, not for the better. When they wake up, Sam is no longer herself. After a visit to the Doc, Patrick learns his wife believes she's a child. A child of about 5 or 6. The circumstances are intriguing and the situation calls for restraint. After all, she still has Sam's body and she's still Patrick's wife. I found I'm Not Sam to be a totally enjoyable page turner, start to finish. And when you get to the end, there's more. That "more" will turn everything upside down. When all is said and done, I'm still tossing the moral implications around in my mind. 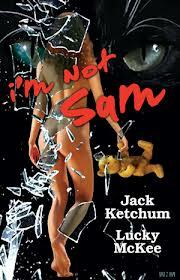 The idea for I'm Not Sam started as a short story that Jack Ketchum and Lucky Mckee wanted to work into a film, but apparently this story had a mind of its own. As a result, it winds up as the written word, a novella that Ketchum and McKee have decided to use as a launching pad for another story which they hope to make into a film. Time will tell. I'm Not Sam is available in a wide variety of formats from a number of sources. Probably best just to google the title and authors. Stephen King, certainly knows a thing or two about writing a horror story and his son, Joe Hill, is rapidly making a name for himself in the horror genre. The first time father and son worked together, the result was Throttle, inspired by Richard Matheson's classic Duel, which also went on to be Road Rage, a graphic novel series from IDW. This time the two writers united for In the Tall Grass. Cal and Becky DeMuth were born nineteen months apart and were so close, their parents called them Irish Twins. While in her freshman year at college, Becky winds up pregnant and the two set off on a cross country trip to their parents on the West Coast. Crossing Kansas, they go through an area where the grass is higher than an elephant's thigh. As high as seven feet. When they hear the voice of a young child crying, "Help! Please help me!" And: "I'm lost! ", they decide to stop and investigate. Worst. Decision. Ever. By now the reader has a pretty good idea where this is headed. To bad Cal and Becky don't. There are clues like the name of the roadside church, Black Rock of the Redeemer, the fact that there are a number of dusty cars in the church's parking lot, and the voice of the child's mother warning them not to attempt a rescue, but in they go and what follows is terrifying fun for the reader. Along with a nice, original story, you get one very good limerick and for me, I actually learned a new word. "illimitable", which means "incapable of being limited or bounded." In the Tall Grass was originally published in two parts in the June/July and August 2012 issues of Esquire magazine and is available now as an e-book from a variety of sources. A pretty good debut YA novel from newcomer Tim Mettey. Tim's bio paints a picture of a family man, a man with a clear set of values and that is certainly reflected in his story, but it is in no way a distraction, in fact I found it somewhat refreshing..
Fifth grader Alexander Taylor is a bonafide hero. On 10-10, the day of the giant earthquake he becomes a hero and it turns his life upside down. Five years later, he's still on the run. I don't want to go into a lot of detail on the story, learning the Secrets one by one is what makes the tale enjoyable. We do get a number of answers by the end of book one, but there are still plenty of mysteries remaining for the sequel(s). One thing I really wanted explained, and never did learn, is the Tic Tac effect. You'll understand what I mean when you read the book, and I do recommend this one, especially for Young Adults. This book is certainly not in the Harry Potter league, but it does compare well to The Hunger Games and is somewhat better than the Twilight books. Available now in both paperback and e-book formats. I know you can definitely find it at Amazon.com and may be available from other retailers, as well. Cemetery Dance Publications has given us a ton of great Halloween shorts during their 13 Days of Halloween and Devil's Night by Richard Chizmar is one of the best. An excellent story, with completely believable characters from the quirky teacher, to the jealous cheerleader, to the the jock being led by his...cluelessness, with just enough of a twist at the end. Devil's Night was a part of the 13 Days of Halloween from Cemetery Dance and is still available online from Amazon and Barnes and Nobel and Kobo. Cemetery Dance Publications has given us a number of fine stories during their 13 Days of Halloween Including Short of Breath by Trent Zelazny. Ian Cain and his wife, Delilah, haven't been agreeing on much. This time it's about the Halloween party they've been invited to. Ian doesn't want to go and Delilah does. Short of Breath is a fun tale, full of irony and a taste of karma. 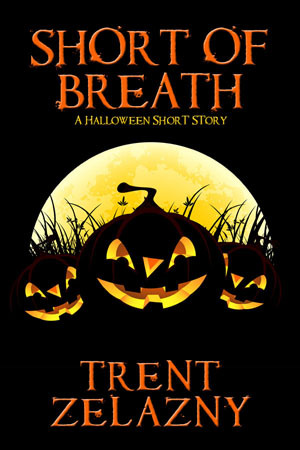 Short of Breath was a part of the 13 Days of Halloween from Cemetery Dance and is still available from Amazon and BarnesandNobel.com. Cemetery Dance Publications has given us a number of fine stories during their 13 Days of Halloween and that includes The Legend of Halloween Jack, a Halloween short from Lisa Morton. It's Halloween in the French Quarter and Jack is doing everything he can to stay lost in the crowd. "Not yet. He hasn't found me yet. There still might be a chance, then. A chance for escape." Lisa Morton is a Bram Stoker Award winning author in non-fiction and the author of Trick or Treat: A History of Halloween, but here she has crafted a fine piece of Halloween fiction, on what can happen when you cheat the devil out of his due. 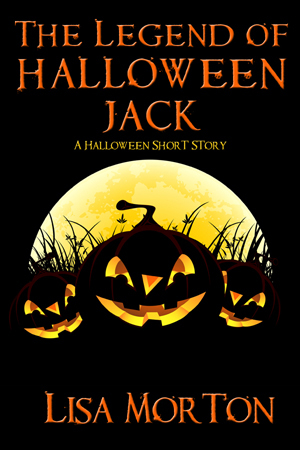 The Legend of Halloween Jack was a part of the 13 Days of Halloween from Cemetery Dance and is still available from Amazon and BarnesandNobel.com. Cemetery Dance Publications has given us a number of fun stories during their 13 Days of Halloween and that includes Treats For Adeline, a Halloween short Elizabeth Voss & Peter Tackaberry. Not too frightened by the walk-through at Mayor Barton's mansion, seven-year-old Adeline asks her sister, Harper, "what's next." So she decides to take her Trick-or-Treating at the house of "The lady on the bluff." On the way, Harper tells her sister how the lady on the bluff gives the most unusual treats. One time, it was a basket of puppies, this time, the treat seems a bit odd, but it leads to something horrible. Treats For Adeline is a treat for the reader as well. A completely original story that's fun and well written from beginning to end. Well worth a read. 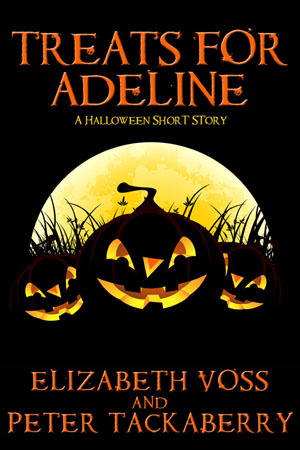 Treats For Adeline was a part of the 13 Days of Halloween from Cemetery Dance and is still available from Amazon and BarnesandNobel.com. 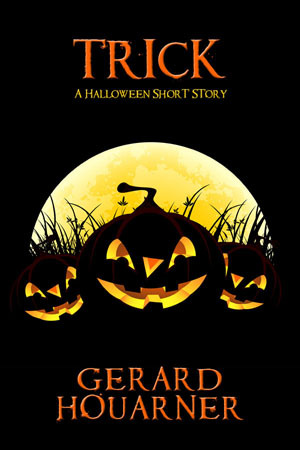 Cemetery Dance Publications has given us a number of fun stories during their 13 Days of Halloween and that includes Trick, a Halloween short from Gerard Houarner. I was hooked with the opening line, "The knocking began a week after Roger moved in." And the knocking always comes in threes. There's not a lot I can say about this story, or at least not without giving too much away. Let's just go with, it's an enjoyable treat that holds its' secrets until the very end. 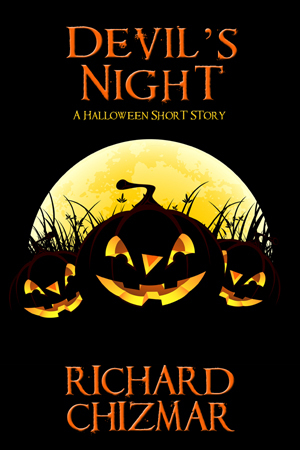 Trick was a part of the 13 Days of Halloween from Cemetery Dance and is still available from Amazon and BarnesandNobel.com. 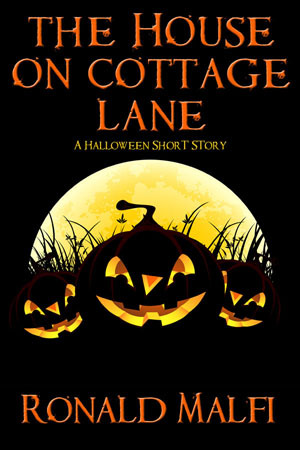 Cemetery Dance Publications continues their 13 Days of Halloween with The House On Cottage Lane, a Halloween short from Ronald Malfi. Brian grew up near the Toomey family. They were "always taking in weirdos." His father referred to them as "troubled kids," but Brian failed to see the difference. One time it was a girl around his age, eleven or twelve, and they were digging up night crawlers in the back yard and she bit him on the bicep for no reason. Then there was Oliver, despite Oliver's strangeness, his father was always wanting Brian and his friends to include Oliver in their activities. So when Halloween came and it was time to Trick-or-Treat, along came Oliver "dressed as a ghost. A single sheet covered his body, with two holes punched out for the eyes." What happens at The House On Cottage Lane is the crux of the story and it's a story that works on every level. Kids being kids with unfortuate results. Highly reccomended. The House On Cottage Lane is part of the 13 Days of Halloween from Cemetery Dance and is available, right now from Amazon and BarnesandNobel.com. "The Wickerwood is being renovated, so tonight Peter will watch over the machinery. And he will soon discover that there is something else in the hotel with him, something that has never died. And never will." Peter Haskins is trying to get his act together. A recovering gambler who takes the job with Abigail Point Securicorp on a 12-6 shift to keep an eye on the place. Sure he's heard the history of Wickerwood, but he doesn't much believe all the stories. You in? is a smartly written ghost story of a man already haunted by personal demons. Completely enjoyable read, with a fun little hook. You in? is now available in e-book format from a variety of sources.